Dr. George B. Partridge was born on 22nd May 1963. He was appointed Group Chief Executive on 1st November 2016. 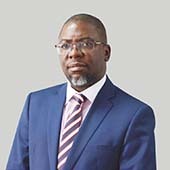 Prior to this, he was the Chief Executive Officer of National Bank of Malawi, a position he held from November 2006 to October 2016. Before that, he served as Head of Treasury and Finance, General Manager and Deputy Chief Executive Officer having joined the Bank in 1994. Prior to joining the Bank, he worked in various capacities at the Reserve Bank of Malawi for 11 years rising to the position of Director. Dr. Partridge was instrumental in the formation of the Institute of Bankers of Malawi, where he served as its first President. In his own right, Dr. Partridge has over the years served on a number of private and public sector boards and national economic advisory committees. Currently, he is Chairman of Malawi Airlines Board and he is a Council Member of The University of Malawi. In recognition of his achievements and service to society, he was awarded an honorary Doctor of Philosophy (PhD) degree in Leadership and Management in 2015 by the University of Malawi. Mr. Ndau was born on 12 January 1972. He joined the Group in December 2012 as Company Secretary/ Compliance Officer. He was appointed Group Administration Executive / General Counsel in April 2014. 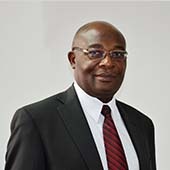 Prior to this, he served as Director of Regulatory Affairs at Airtel Malawi Ltd. Before joining Airtel, Mr Ndau worked as General Counsel of the Malawi Communications Regulatory Authority (MACRA) from 2008 to 2011 and as Legal Counsel in the legal department of the World Bank in Washington DC from 2005 to 2007. As Legal Practitioner, he worked for a private practice firm of Messrs Savjani & Co from 1999 to 2004. In his own right, Mr. Ndau is a Fulbright Scholar and a part time post graduate lecturer in International Commercial Arbitration at the Law School of the University of Malawi, Chancellor College. Mrs Elizabeth Mafeni was born on 26th October 1968. 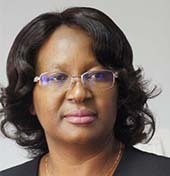 She joined the Group in September 1999 as Chief Accountant at Malawi Pharmacies Limited. In June 2000 she was transferred to the Corporate Head Office initially as Chief Accountant until 2003 when she was promoted to the position of Group Financial Accountant. On 01 October 2010, she was promoted to the position of Group Financial Controller. Mr John Biziwick was born on 13th June 1958. He joined the Group as Group Operations Executive-Designate on 5th October, 2015. Prior to this, he worked as Commissioner General of the Malawi Revenue Authority from June 2012 to July 2014. Before joining the MRA, Mr Biziwick worked for NBS Bank as the Chief Executive Officer from 2002 to 2012 and as Deputy General Manager (Operations) from 2000 to 2002. 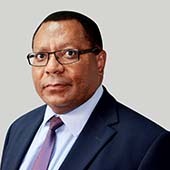 Mr Biziwick began his professional career in the Reserve Bank of Malawi which he joined in 1980 as an Economist. From 1980 to 2000 he worked in various departments including the Research and Statistics, Foreign Exchange, Exchange Control, and International Operations.